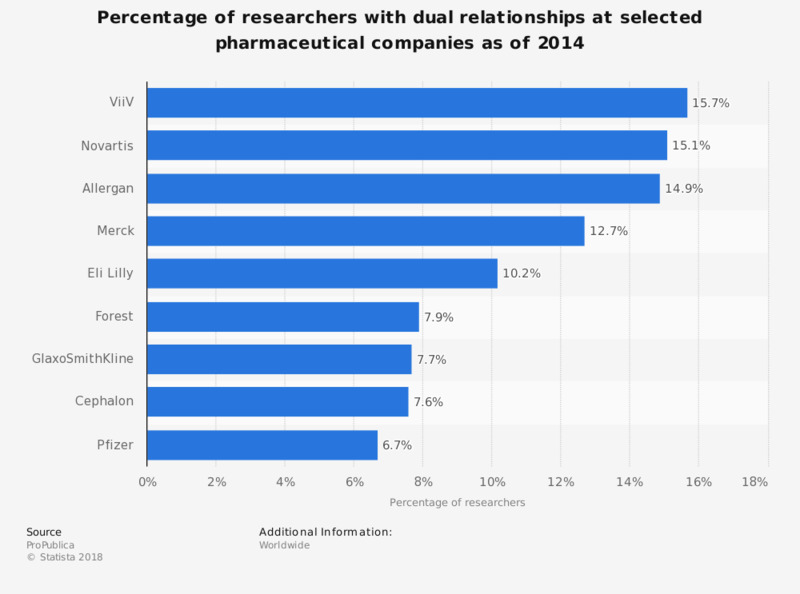 This statistic indicates the percentage of researchers with dual relationships in selected pharmaceutical companies as of 2014. At Forest, 7.9 percent of researchers had dual relationships as of 2014. At Tufts University School of Medicine, overlapping payments from a pharmaceutical company, for example, is not banned. However, a pharmaceutical company cannot control presentation content. Payment from an external source can cause conflict of interest in research.